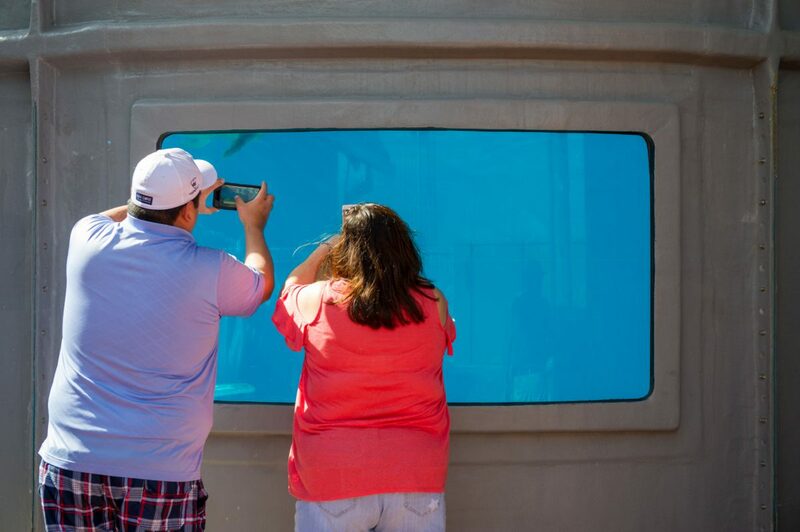 Joe Wetegrove remembers visiting the first Sea Turtle Inc., when founder Ila Fox Loetscher started caring for injured turtles more than 40 years ago at her South Padre Island home. On Saturday, he and his family came from WillacyCounty to visit the center during the grand opening of its $6 million education center. 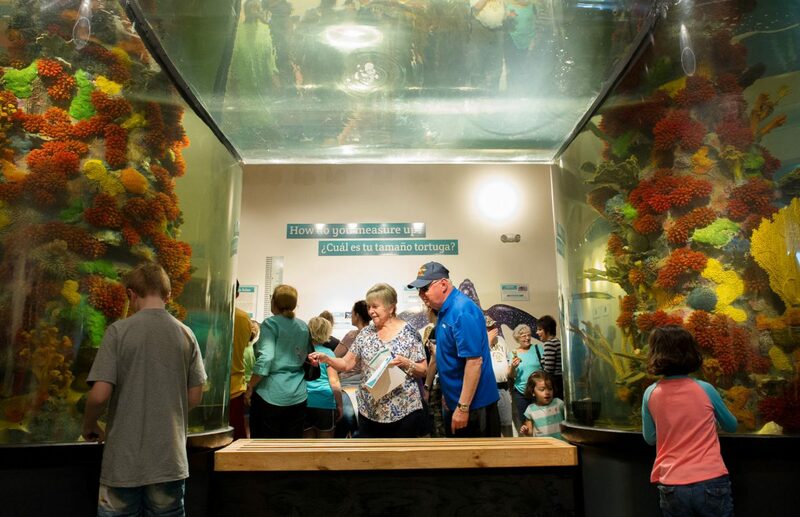 The upgrades bring an additional 30,000 square feet to Sea Turtle Inc.’s location on Padre Boulevard. 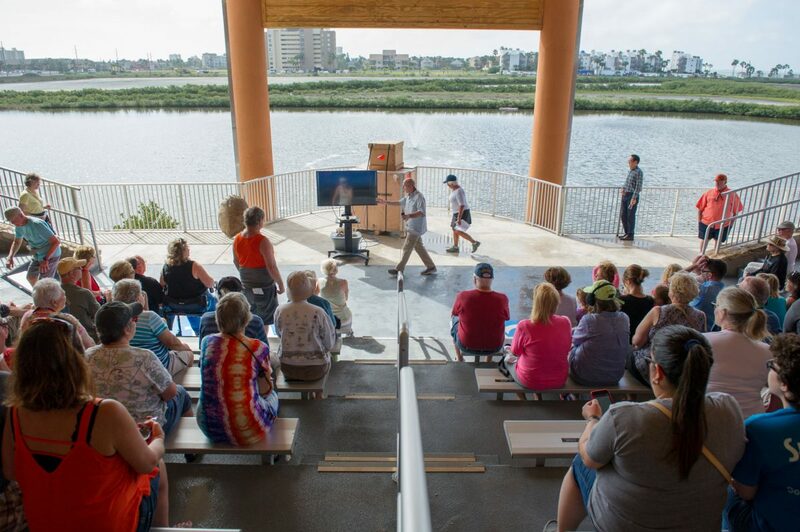 A boardwalk connects the original rehabilitation center to the new facilities, which include six aquarium-style tanks, an amphitheater, indoor museum display and larger gift shop. 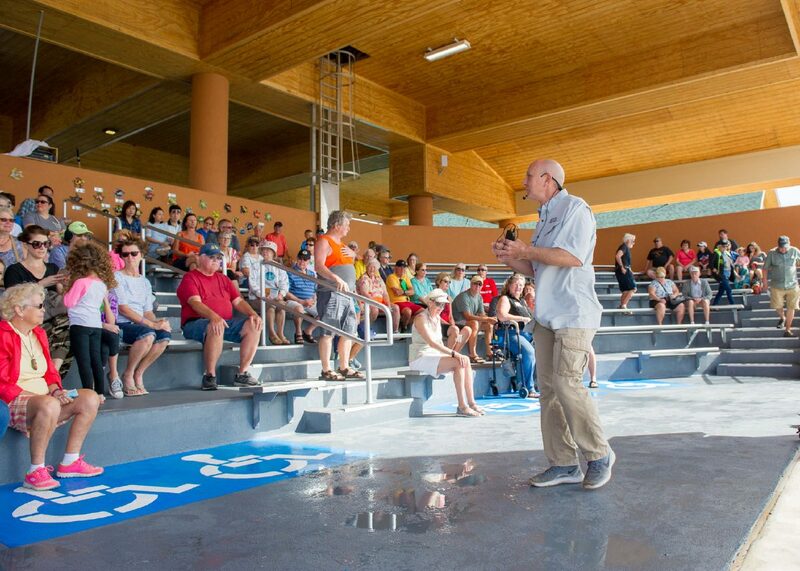 Executive Director Jeff George said the expansion, which took one year to construct, was due because there simply wasn’t enough space for all the visitors to the 10,000-square-foot rehabilitation center. 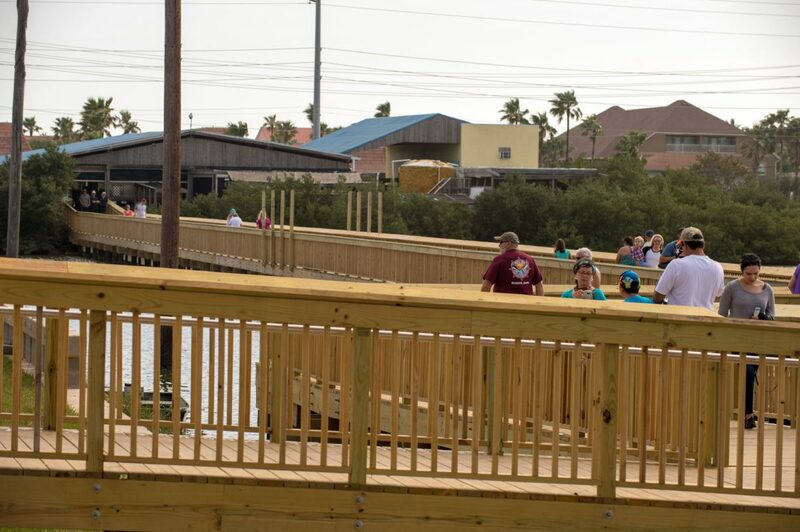 The aim was to make Sea Turtle Inc., which moved in 1999 from Loetscher’s home to 6617 Padre Blvd., a must-see destination on the Island. Renovations to the turtle hospital are planned for the future, he added.